Bachata Ambassador® Vesa is the owner of the trademark Authentic Bachata® and the creator of the methods to teach professionally "how Dominicans dance bachata". He is the organizer of the first ever DR1 Bachata Festival in Dominican Republic. He has done bachata festival already 11 times in DomRep. He is also the creator of the great concepts like BachataTour and Ruta Bachatera. Bachata Ambassador Vesa understood already in the 90's the cultural meaning of bachata in Dominican Republic. Therefore he had a clear understanding of not just to show how Dominicans dance bachata but also to show how they consume and enjoy bachata. While the other instructors/promoters concentrate incorrectly just to 10 talented and 5 peculiar Dominican dancers, Vesa talks about millions of Dominicans, philosophy, goals, culture, habits, structure, natural, adaptation, energy and places like colmadon, car-wash, sport bar, clubs and rivers to dance bachata with Dominicans. 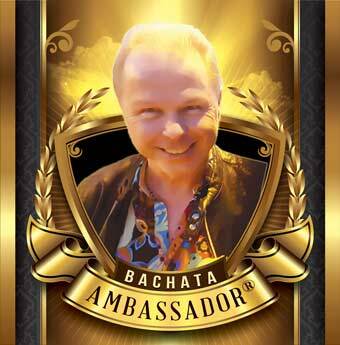 Bachata Ambassador has done the biggest effort ever in developing and making Authentic Bachata worldwide famous. Vesa does the strategic bachata and bolero workshops with Yocasti and bachata history with Melody. Vesa has visited Dominican Republic since 1989 over 40 times, seen bachata of the 90's, been bachata Dj since 1997, organized parties with bachata since 1997, organized the first really big bachata only party 2003. Vesa is the organizer of the second bachata festival in the whole world (Finland 1st Bachata Festival) and the first ever in Dominican Republic (DR1). Vesa has organized 7 bachata festivals in Europe and now comes the 11th bachata festival in DR. Vesa is the founder of Authentic Bachata (the way Dominicans dance bachata) in a sense that he created the methods to teach "how Dominicans dance bachata" in a professional way. While the other promoters bring the copies of their international festivals to DR, Vesa does fully Dominican events. Vesa brings the international attendees to the local clubs to dance with Dominicans. Vesa understood right from the beginning that this is the only correct way - the authentic way. All his festival participants will also confirm this being the only right solution. Organizing a Bachata weekend event with workshops and parties is a piece of cake job!! Having one live band multiplies the complexity, because the artists need accommodation, food and transport but more importantly you need to provide the concert place, sound system and a huge marketing to sell the event. Have you ever bought a sound system (mics, stands, mixer, amplifiers, PA's) to do a live band gig? I have boagh, a really good one. How frequently you have participated the live bachata concerts in your city? Most probably never? Bachata promoters cannot afford bands, because it involves hundreds of attendees to pay it. There is only a handful of bachata festivals and congresses getting thousands of attendees to buy 2-3 live bands for one event. Have you ever tried to organize a bachata event in a far away country? It complicates your life. Several bands project would most probably distroy your life. 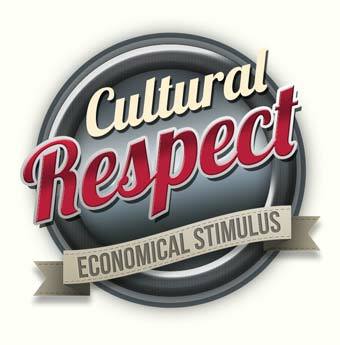 How about doing an event in DomRep which does not fully follow the western business making rules? Bachata Ambassador Vesa has done succesfully all of these. Vesa has organized nearly 100 live bands (Luis Vargas, Yoskar Sarante, Kiko Rodriguez, Joe Veras, Luis Miguel del Amargue, Marino Castellano, Ramon Torres, Teodoro Reyes, El Pequeno de la Bachata, Raulin Rodriguez, Anthony Santos, etc.. DR1, DR3, DR4, DR6 and DR8 each had about 14 live bands (some of them solo artists). All the DR festivals have had 7-14 live bands. There are just a few dance schools in Dominican Republic and most of them are specialized just in Salsa. Before Vesa there weren't any professional bachata instructors. Vesa had to educate the first ones and now his DR festival is a factory with all the best Dominican bachata instructors. Teaching the authentic is difficult, because it's in the blood of dominicans and they haven't done extensive studies on the philosophy, structure, elements and common practices of authentic bachata. Vesa had to educate the talented Dominican dancers (and other genre instructors) to understand the philosophical part of bachata and helped them to get started with the authentic bachata workshops. Now all these instructors are flying around the world to teach it. 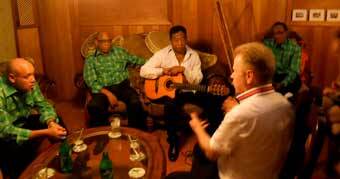 You should read the Authentic Bachata Explained article written by Bachata Ambassador Vesa. It's interesting to see that Dominicans, the original creators of bachata, dance so differently compared to the rest of the world. 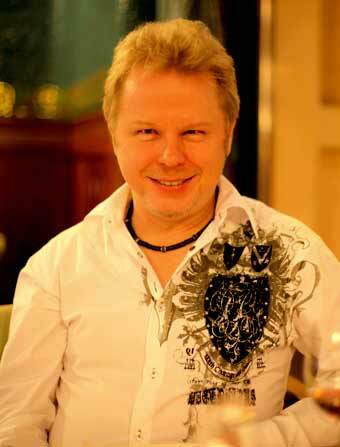 Vesa did heroic act by being the first one to organize 2006 huge bachata concerts in Northern Europe. Therefore Dominican press started to call him Bachata Ambassador. Later on Vesa trademarked the title Bachata Ambassador®. Vesa registered also Authentic Bachata® to prevent it to be spoiled by the misusage of the international instructors. Vesa has the best methods to teach the Authentic Bachata Fundamentals, Structure, Essentials, Triple, Adapt, Energy, Dominican Musicality, Secrets and History. 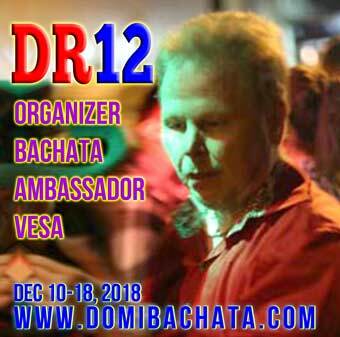 DR12 has many instructors more to do the style shining, but without the strong fundamentals and Vesa's structural knowledge it's hard to progress in Authentic Bachata. The reason why Vesa (non dominican instructor) is talented in teaching the fundamentals and essentials is because he has the longest scientific experience (many times longer than any Dominican has). Vesa knows the international bachata styles and can easily make a judgement of what belongs and doesn't belong to authentic bachata. There are unlimited ways to shine in authentic bachata. Therefore all our diamond level Dominican instructors can be regarded as the best authentic bachata dancers, because all of them have different styling. This is the great secret of authentic bachata. This is why we go to DomRep, to dance Bachata with Dominicans. Vesa&Yocasti Authentic Bachata Video Series #3 is a production done by Bachata Ambassador Vesa. 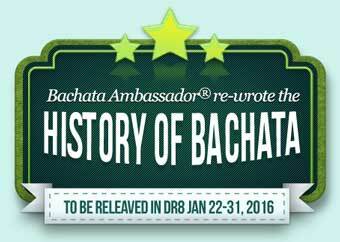 Bachata Ambassador has been very active in studying the Bachata Pre-History and how it was born and evolutionized. The Extended Bachata Roots workshop will be an exciting journey to tainos, conquistadors, slaves, palo, atabales, religion, belief, fears, leisure, celebrations, politics, bourgeois, peasants, trujillo, merengue and tipico in the timeframe 1400-1960. We will raise up the details which had an impact on the evolution of the music and dance in Dominican Republic. Bachata Ambassador Re-Wrote the History of Bachata, because the "Official Bachata History" or the "Internet Bachata History" is full of confusing errors. The history was easy to correct, because most of the bachata artists are still alive and willing to tell the truth (at least from their point of view). Bachata Ambassador got invaluable help for his studies from the Dominican historian Melody. Vesa has organized also the concert of Jose Manuel Calderon, who recorded the first bachata in the world. We will offer you every time new ideas even groundbreaking ideas. Authentic Bachata is a huge combination of culture, habits, places and the way to dance and have fun. Inventor, innovator, inspirer - engineer, professor, scientist - artist, instructor, promoter. The master of the logics, timetable, easy guy, crazy guy, reliable - never cancelled any of his 1000 events. His creations have always been years ahead of others, in childhood with electrical equipments, later on with computers, networks and digital videos and now with bachata events. It's pretty common. Engineers have logical thinking. It is important in dance teaching. Organizing a dance event follows the same principles as organizing a high tech event. Engineers can convert to artists. Vesa absorbed bolero ambient when he was Dj in the age of 5 years old. He inherited the dancing, but the real desire popped out when he visited South America and Caribbean in the 80's. He is a great admirer of the authentic small club atmosphere but also capable of creating big scale parties. Vesa has organized over 1000 technical events. Maybe he is the most reliable promotor in the world, because he has never cancelled any event. Vesa has organized courses, classes, conferences and large scale high tech expo's. Vesa carried 2 lorries full of sound, light and decoration technics to build up the best ever concert both in huge Komeetta restaurant and next day in Tampere Hall year 2006. It was the first time to see the best quality Bachata Concert in Northern Europe. Yoskar Sarante with his 13 people band was so good!!! Most propably they did their best concert in their life. The sound system, lighting and decoration was better than we have ever seen since that. Both concerts succeeded perfectly as you can see from the video. 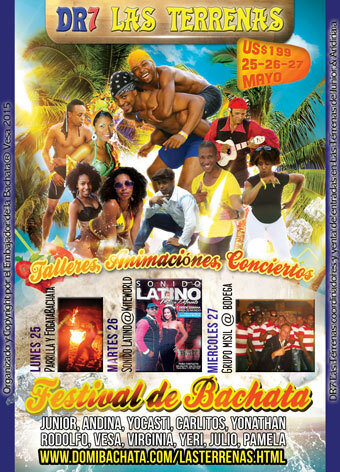 The first Bachata Festival in the whole world was organized in 2008. A few months later Vesa organized the Finland 1st Bachata Festival (second in the whole world). Next year Finland 2nd Bachata Festival was much more advanced and nearly double as big. It was in 2 cities in Finland including a cruice to a virgin island. The instructors were Vesa, Julio&Yeny, Toni&Dani and Rodney. Vesa did a crazy expensive investment bringing Julio&Yeny from Dominican Republic to teach Authentic Bachata. 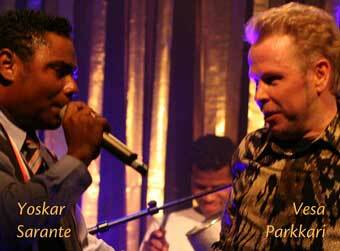 At that time there was only Vesa in the whole world promoting Authentic Bachata. Look at the Julio&Yeny video from that festival. Later on it was too much work to do huge festivals both in Finland and Dominican Republic. Vesa decided to concentrate in doing the best of the world Authentic Bachata festivals in DR.
DR 1st Bachata Festival was a crazy big risk. Vesa discovered that there aren't any professional bachata instructors in Dominican Republic. Festival planning attracted all the Dominican and international abusers. Vesa learned the Authentic Bachata business lessons in a hard way. DR2 was already really good every time came better and bigger festival. Some attendees have participated even 8 festivals and praised them to be the best of the world bachata experiences. 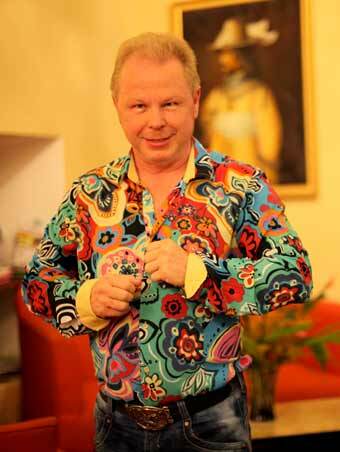 Vesa has never regarded Authentic Bachata and DR festivals as a job to earn money. It's a pasion. It's a must. Someone has to be responsibility in sharing the mighty Authentic Bachata to the whole world and to keep the bachata dancing alive in DR. Most of the DR festival ticket payment money end up in DR helping the artists, instructors, clubs and their friends to keep bachata alive in DR. It's Cultural Respect and Economical Stimulus in it's best and we are sure the other international promoters can NOT reach anywhere near to our high percentage in leaving money to DR. In addition to leave most of the DR festival money to Dominican Republic we have also actively collected donations to Casa Rosada. Bachata Ambassador has organized 2014, 2015 and 2016 Authentic Bachata Europe Tour with Weekend Events together with Rodolfo and Yocasti. Here is an example of how we do the extended weekend in Tampere Finland May 5-8, 2016. Bachata Ambassador Vesa has published over 300 Authentic Bachata videos in his YouTube channel. His channel has over 12.3 million visitors, some videos have over 2 million visitors. Suscribe to be updated with the best source of Authentic Bachata videos. Vesa is a video production professional. He organizes the video production courses for the companies, instructors and professionals. DR4 festival trailer is an example of the marketing video filmed and edited by Vesa. It's unbelievable how much visual material is needed. Here is an example of a DR7 poster. Regular events have 1 page, because the customers in the same city already know the concept, dance genres, instructors and venues. Authentic Bachata isn't yet known around the world and unfortunatelly it's mostly misunderstood. The Dominican instructors of the Authentic Bachata aren't yet well-known all over the world. Therefore DR12 has a detailed explanation of all the aspects of Authentic Bachata and it's Dominican instructors. Vesa created the Bachata Tour concept. His first video Bachata Tour Guerra has now 185 000 Youtube visitors. If only all of these people could come and have fun in Guerra dance clubs. 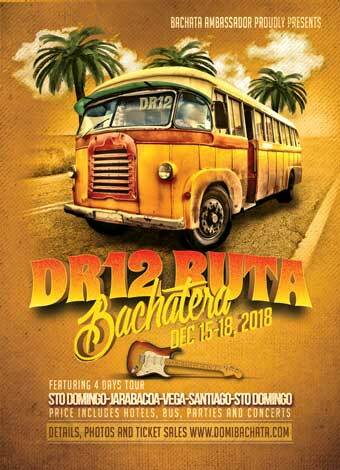 While Bachatatour is one night tour de clubes, Ruta Bachatera lasts 3-7 days with a private bus. Excellent concept, which we did first time in DR9. Now again in DR12. Vesa noticed that learning to play Bongo and Guira will help you to hear the rhythm of bachata more precisely. It's easy it is to learn to play the bachata basics. Fancy beaches are too expensive for Dominicans to have their dance parties. Instead they go to the rivers to have fun. Catamaran to Saona is basicly a touristic trip, but DR festivals have always been able to implement it to be a hot party with Dominicans.